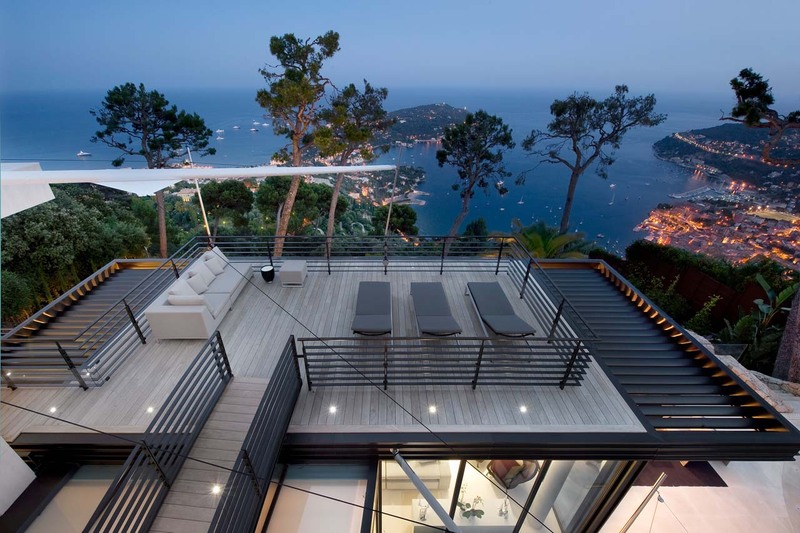 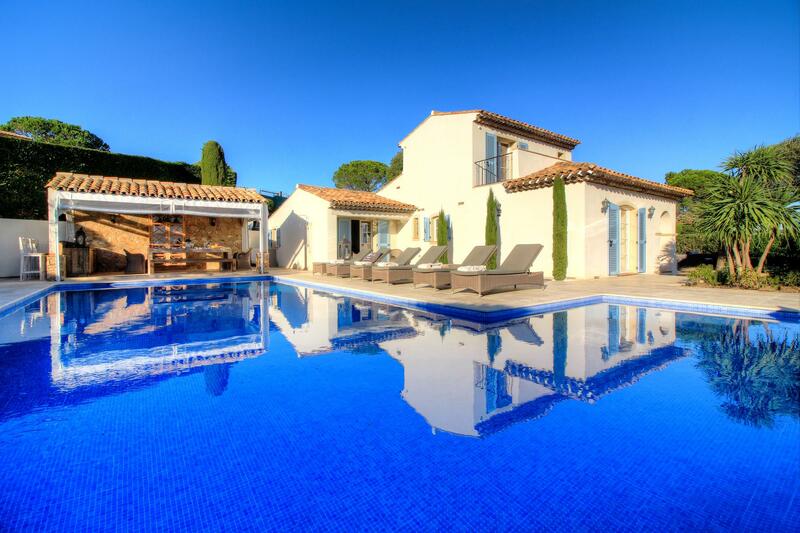 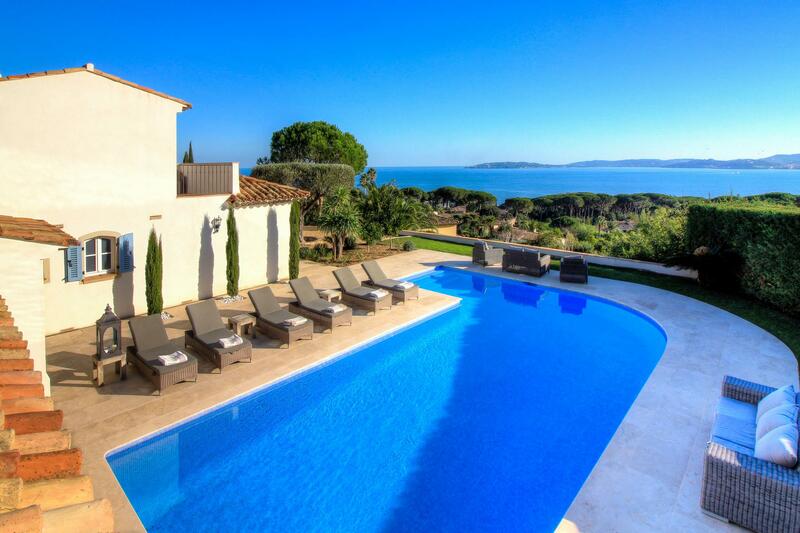 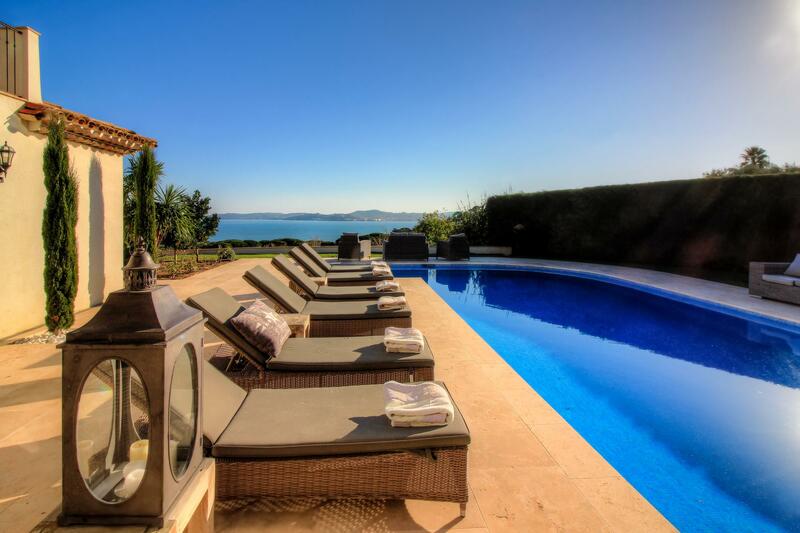 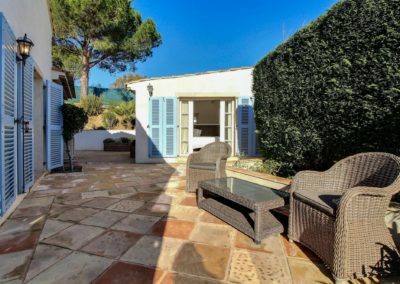 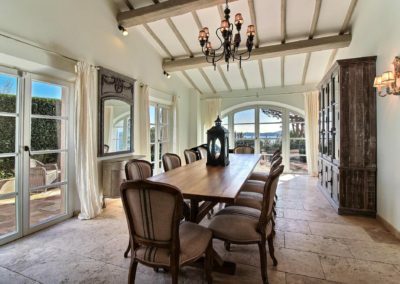 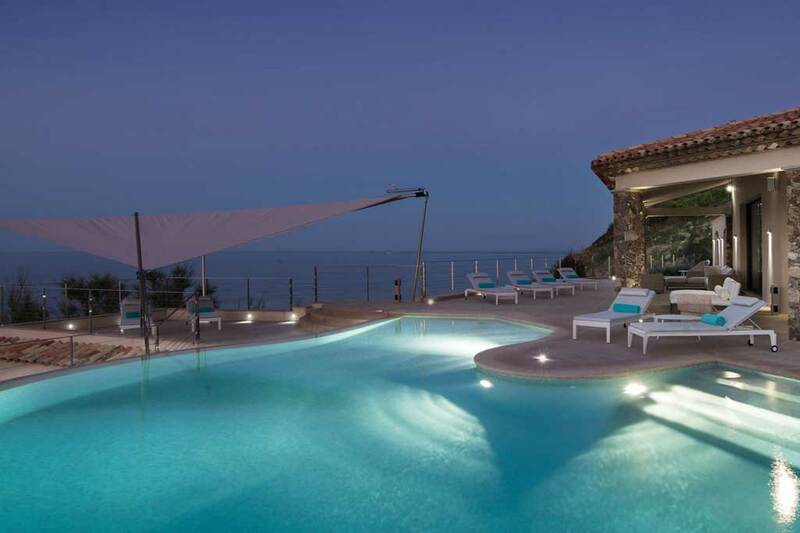 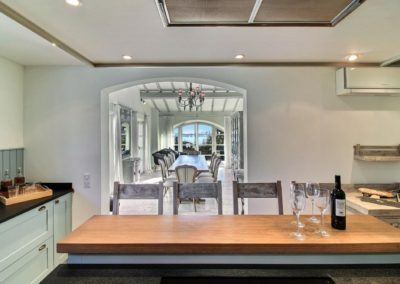 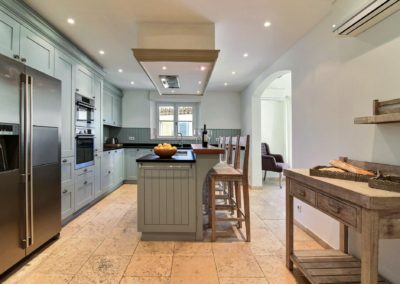 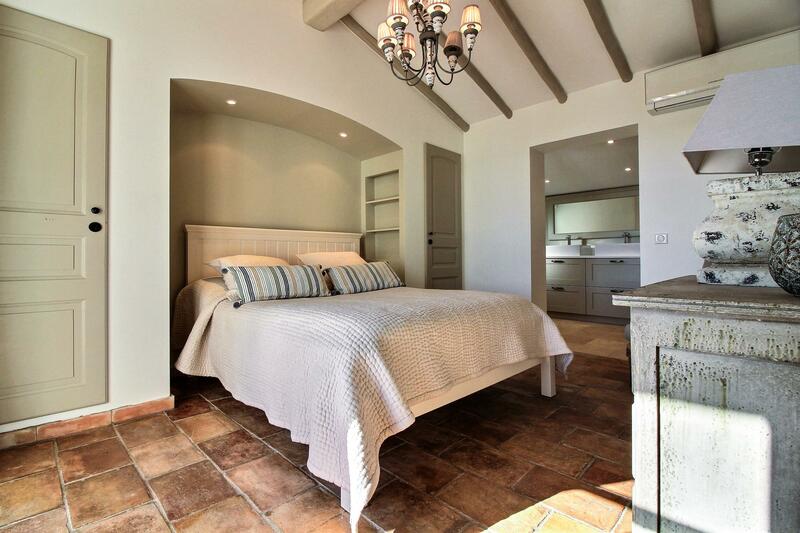 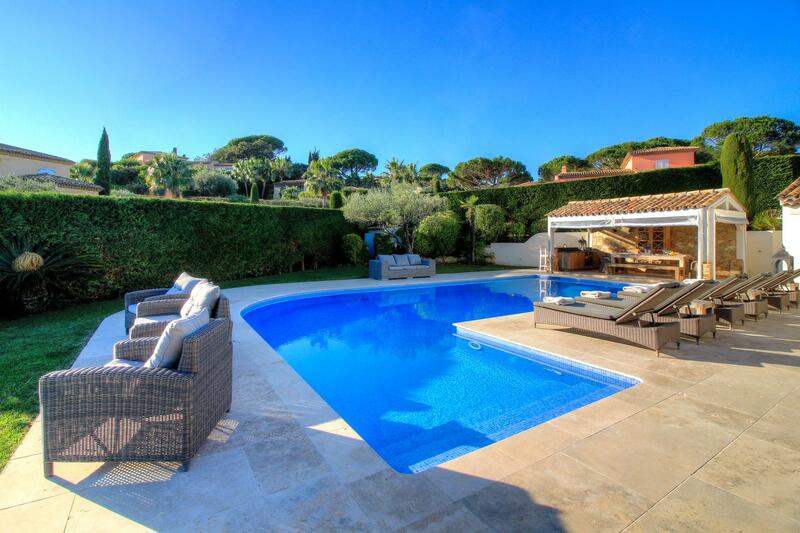 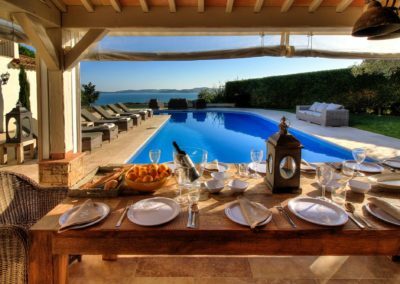 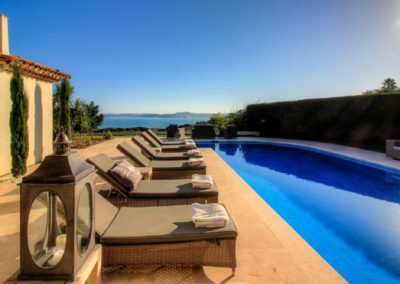 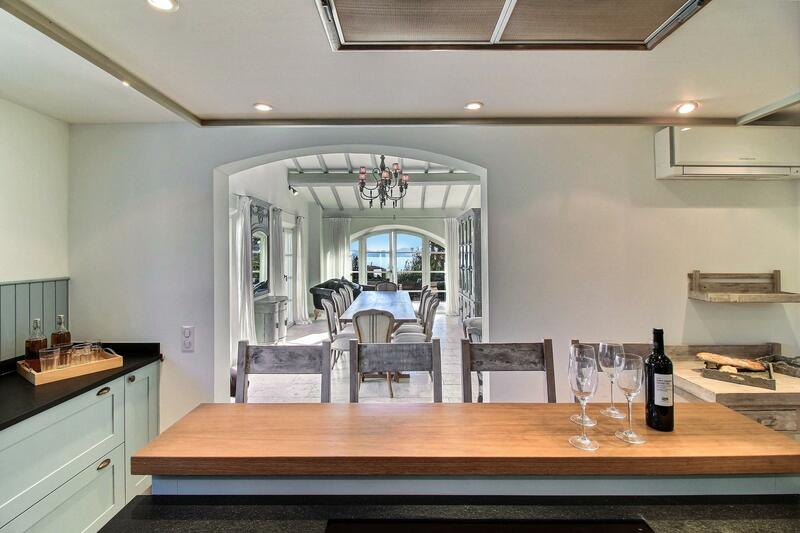 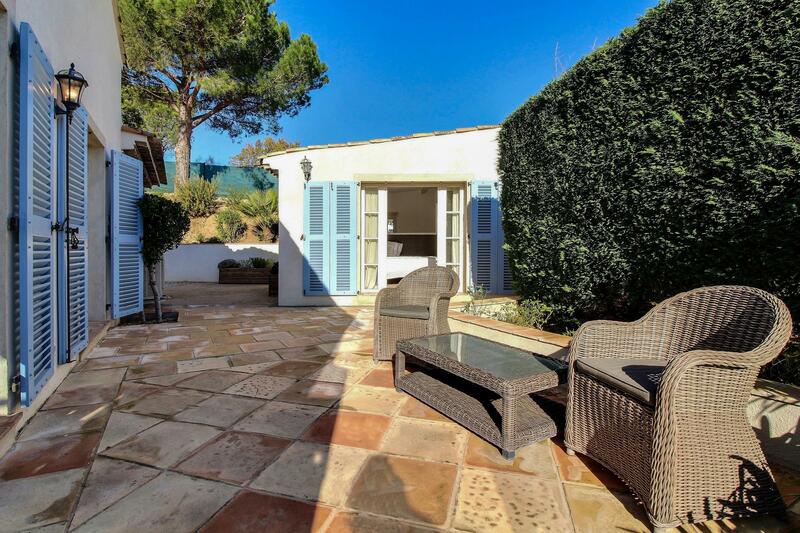 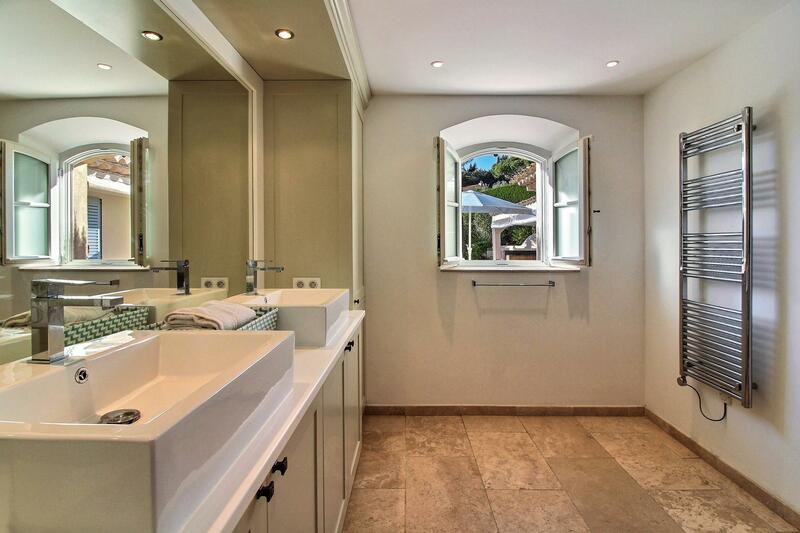 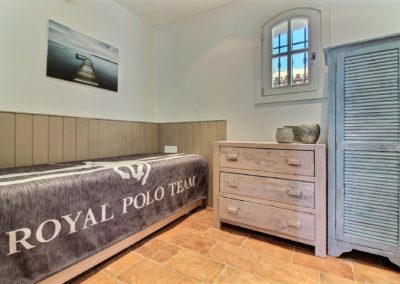 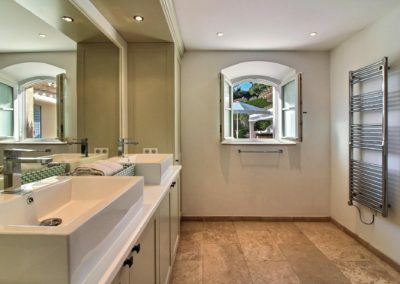 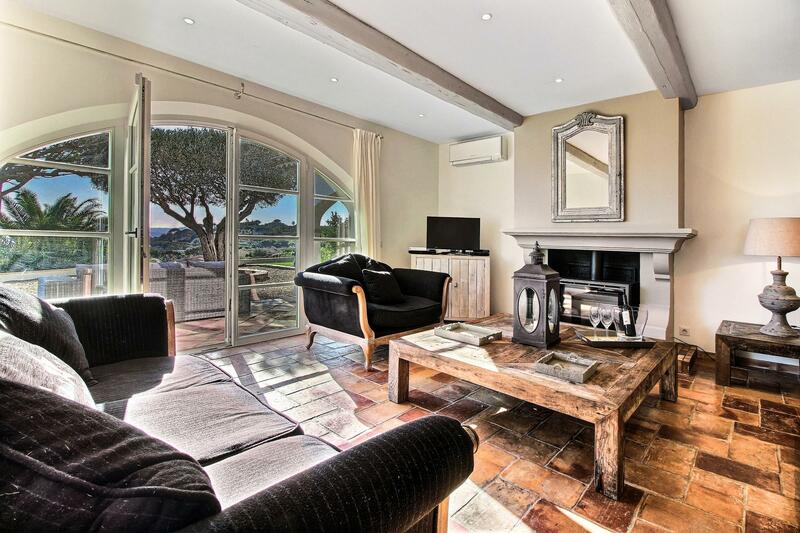 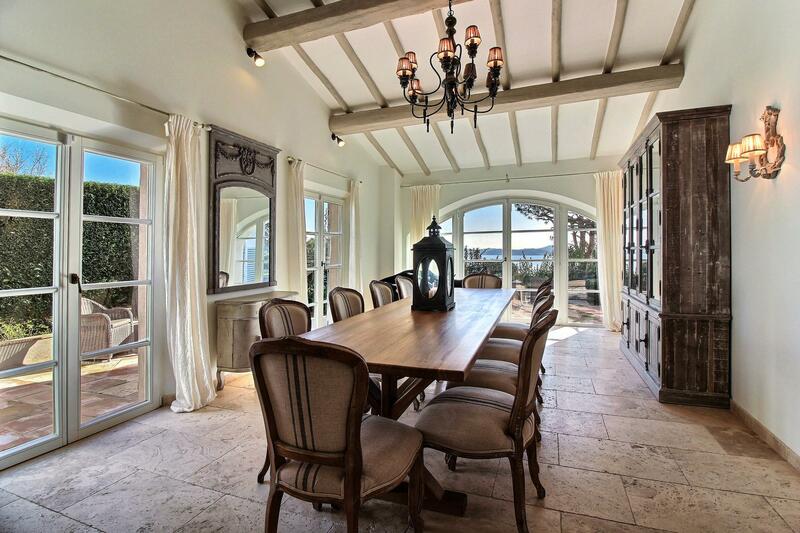 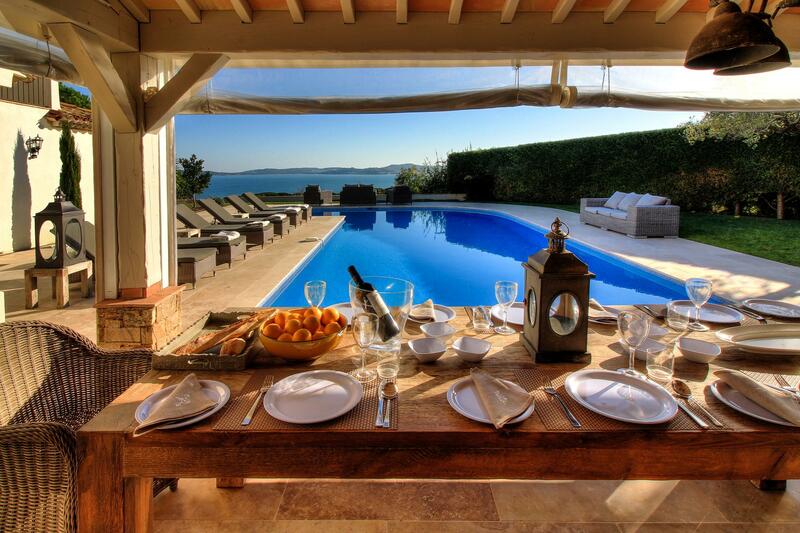 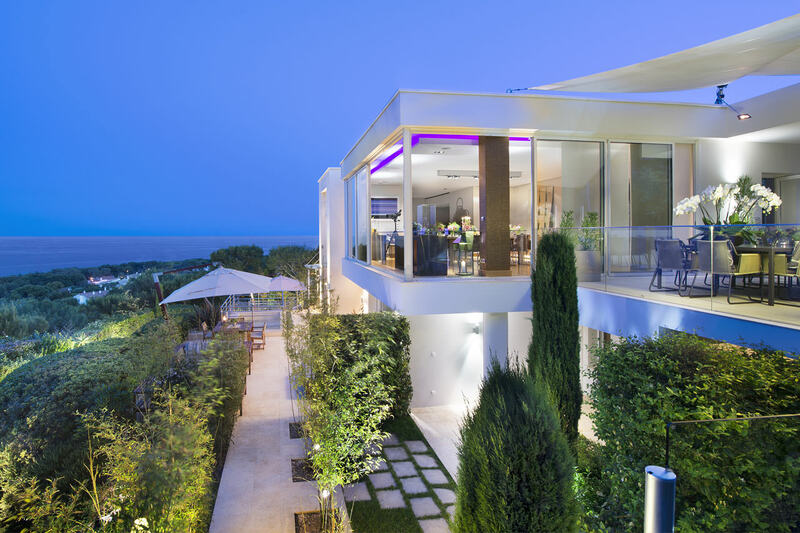 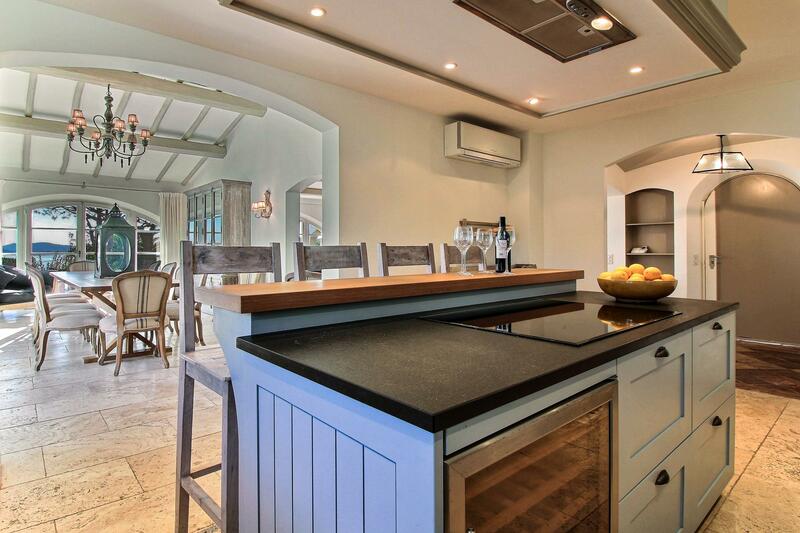 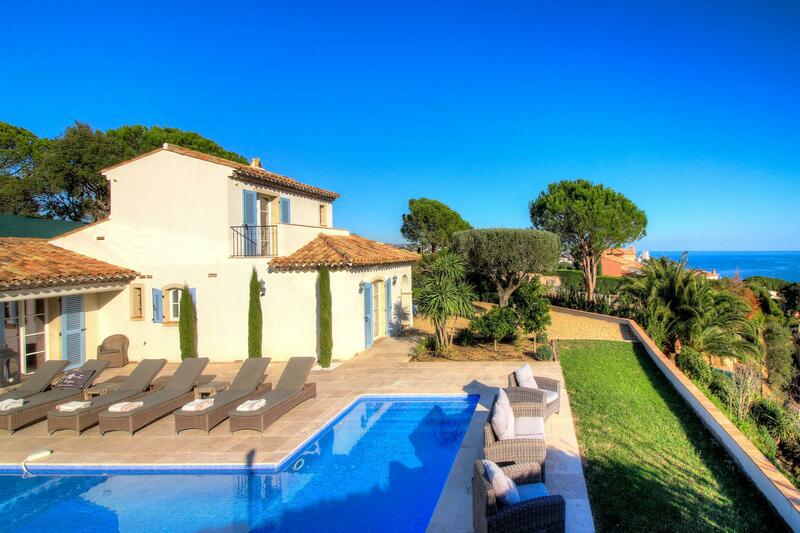 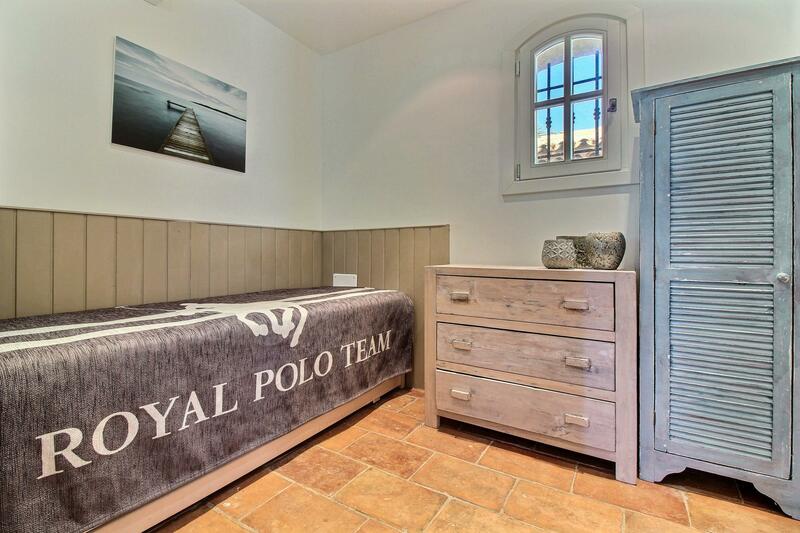 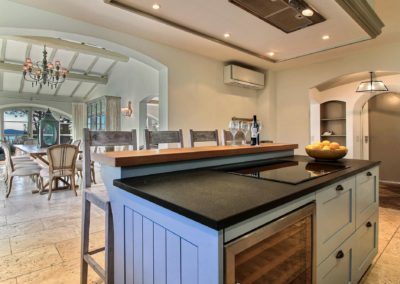 Situated on a hill overlooking the Gulf of St Tropez and Ste Maxime, within just 10 minutes’ walk of the beach, this fully air conditioned luxury villa with heated pool and breathtaking sea views is the perfect setting for a holiday of a lifetime on the French Riviera. 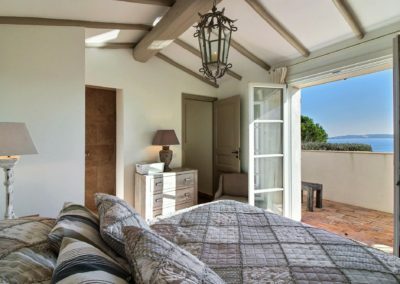 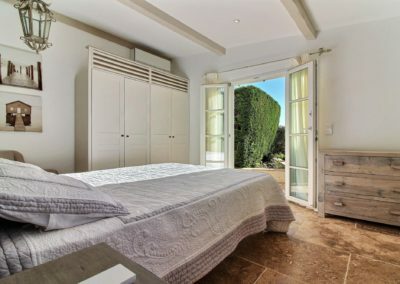 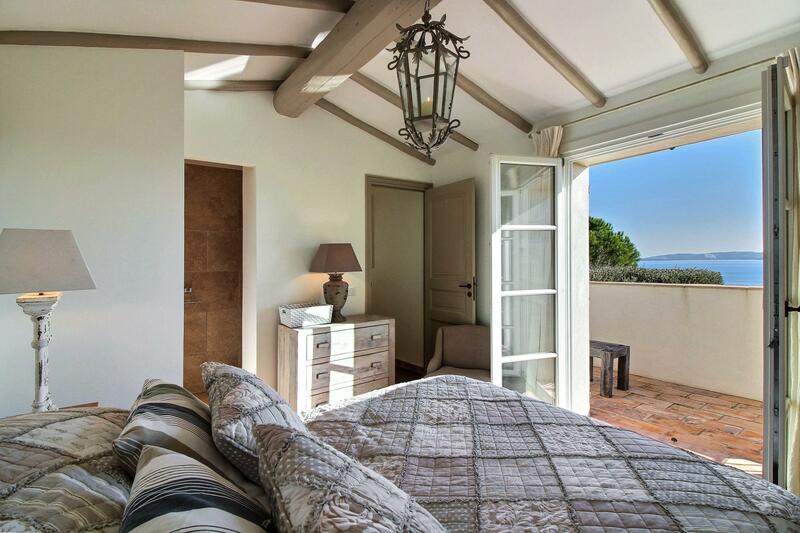 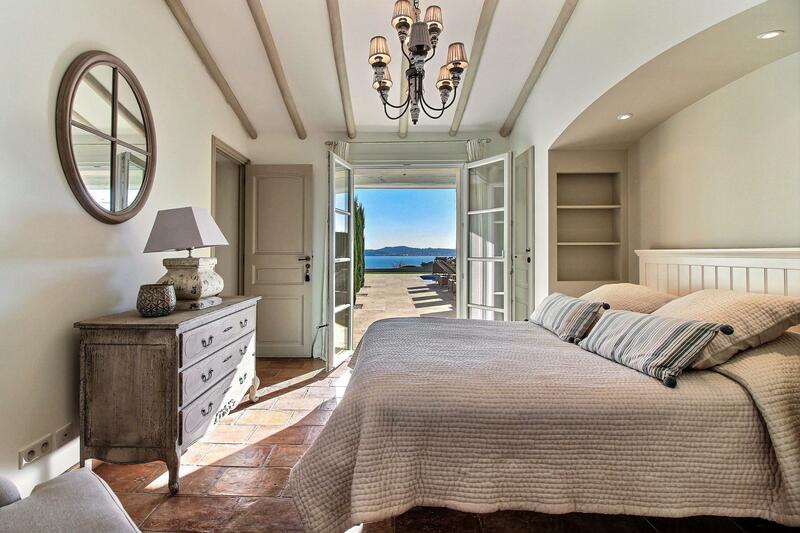 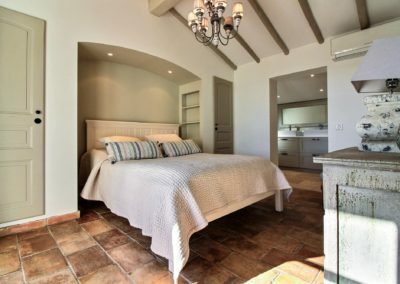 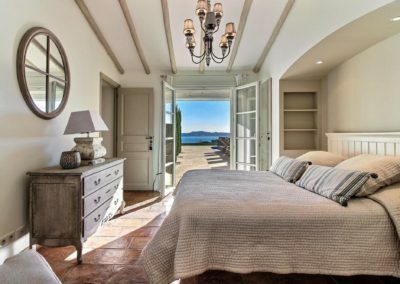 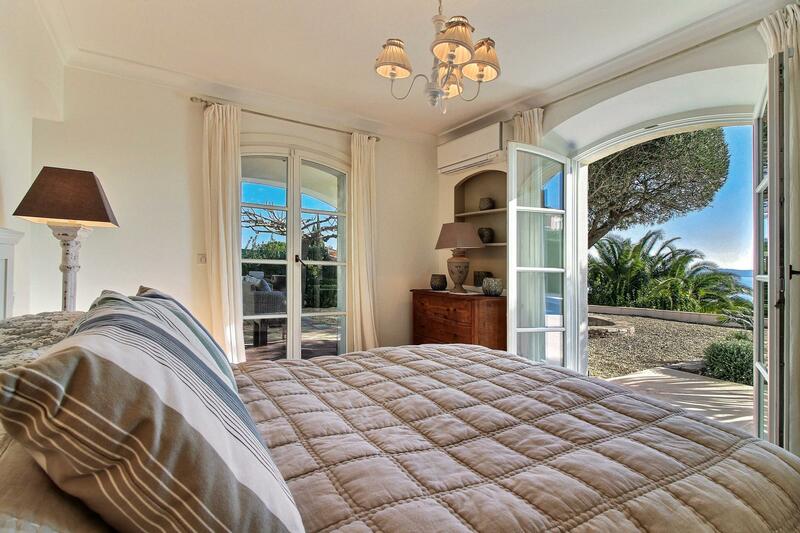 The refined modern French décor cleverly combines the glamour of an exclusive Mediterranean villa with the charm and comfort of a family home surrounded by enchanting scenery; what better way to start each day than to wake to this unforgettable sea view! 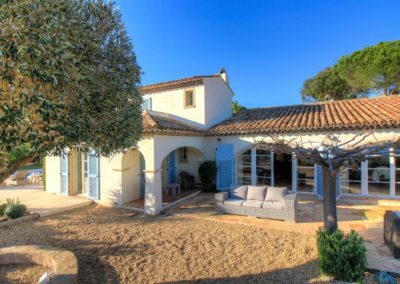 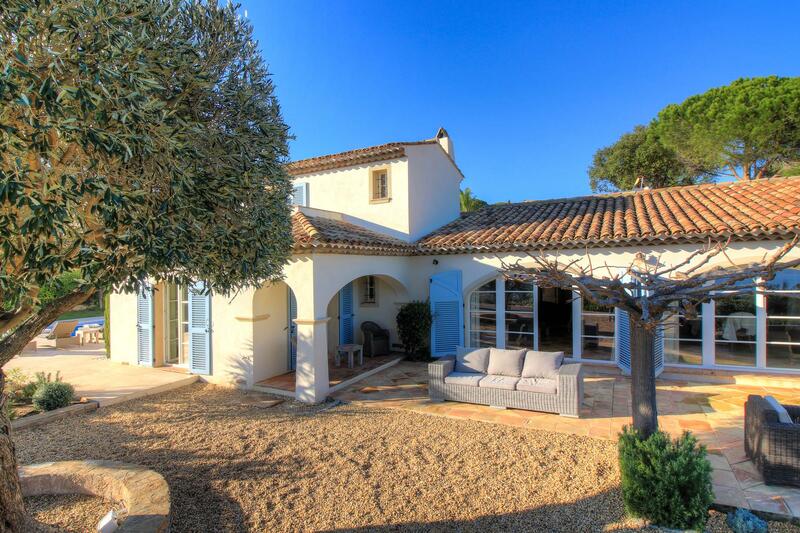 Families with children will love exploring the large landscaped grounds and splashing in the heated pool and this villa is also very close to a Water park in Ste Maxime, just a few minutes’ drive away. 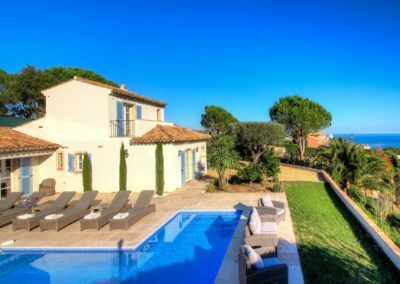 The splendid French Riviera is virtually on your doorstep, offering sandy beaches with watersports facilities, restaurants and shops. 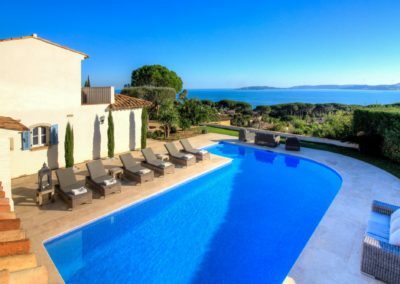 Just across the bay – it will only take you 20 minutes by ferry from ste Maxime harbour – the renowned resort of St Tropez awaits. 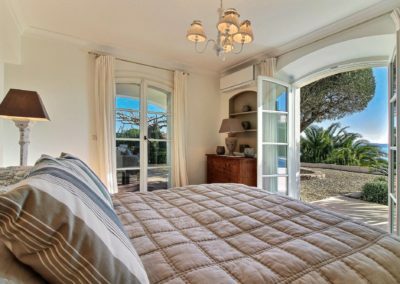 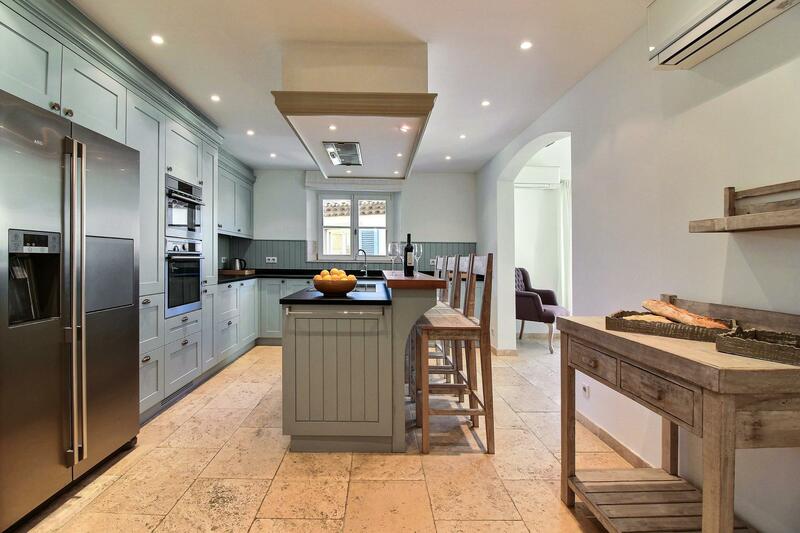 Here you will step into the unspoilt charm of a beautiful seaside resort, still retaining the authentic character of the original fishing village. 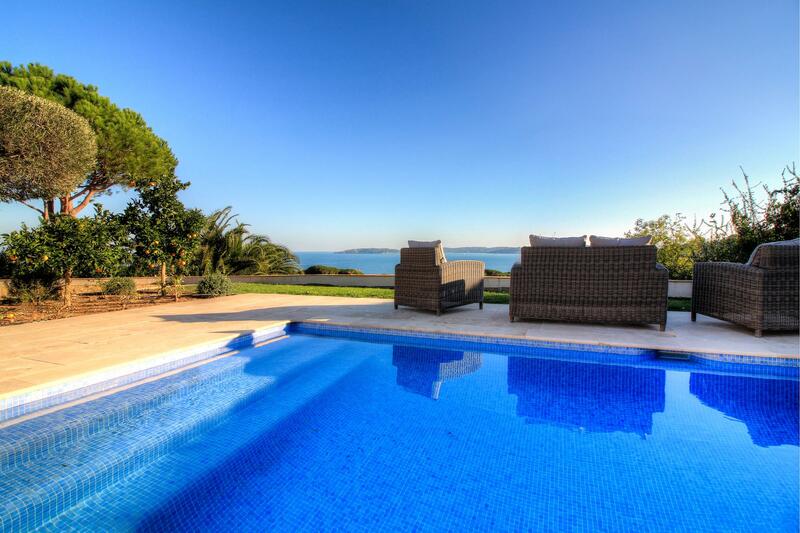 As you gaze across the bay you will spot millionaires’ yachts as well as fishing boats! Take your time to enjoy the laid back atmosphere from one of the cafes along the promenade, especially after visiting the colourful market in Place des Lices.